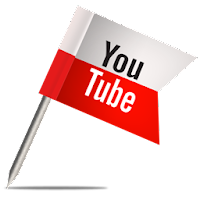 We can accelerate buffering of YouTube videos free without downloading any software or a toolbar on your browser. But before we take benefits of this unique thing we need to follow some steps here: for your browser (Firefox, IE, Chrome). Once the solution is installed, open YouTube website, play any one video and click Settings button (As mentioned in right hand screenshot). Now click Videos tab and making sure video tabs is configured as follow. That's it, now whenever you open YouTube these settings will be applied.